Jeremy Silver is an investor, author and digital entrepreneur. He specialises in digital media, music and immersive technologies. He is CEO of Digital Catapult and Board director of Imaginarium Studios, HammerheadVR and Chair of FeedForward.AI. He is also member of the Creative Industries Council for which he serves as Chair of the Innovation Working Group. 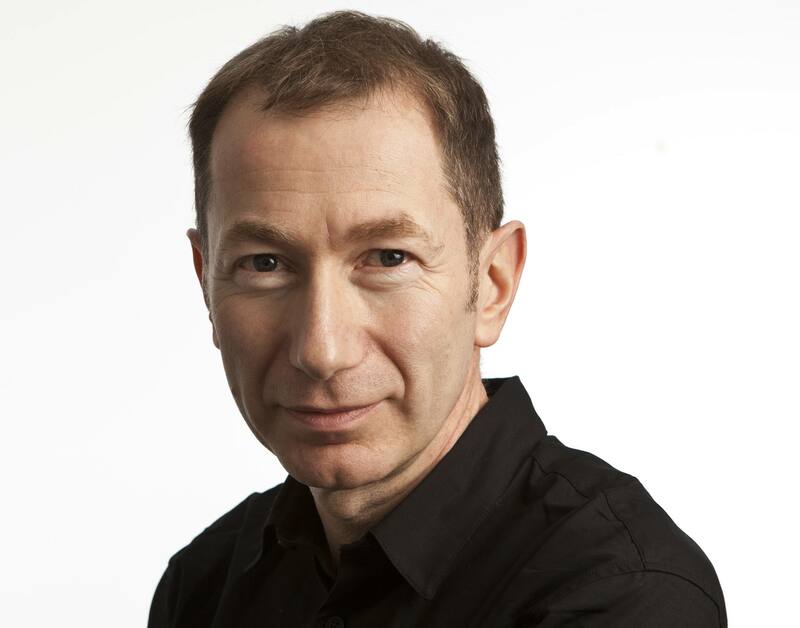 He is a member of the British Library Advisory Council and on the Experts Panel advising the Made Smarter Commission. He is also an advisor to a number of early stage technology businesses and author of Digital Medieval. Previously he was Executive Chairman of Semetric Ltd (a company providing social media big data and real-time analytics for the entertainment industry, sold to Apple) and was closely involved in the establishment of the Featured Artists Coalition (a music industry membership and lobbying organisation). He was CEO of Sibelius Software (a music notation software company) which sold to Avid Technology in 2006. He was worldwide Vice President of New Media for EMI Music Group in London and in Los Angeles. Silver co-founded the pioneering service Uplister, (a Spotify-like playlist- sharing music subscription service), based in San Francisco which was venture backed by August Capital. He was also an early advisor to Shazam Entertainment, sold recently to Apple. In the early 90s, Silver was Director of Media Affairs at Virgin Records where he worked closely with many artists including Genesis, Meat Loaf, Brian Eno, Massive Attack and the Future Sound of London. In 1994 he launched the Raft – inspired by Neal Stephenson’s seminal novel Snowcrash. A few pages of Virgin Records first website – are preserved here. Silver has given talks and chaired panels on music and digital media at many conferences and seminars around the world including at the Loyola Law School in Los Angeles, Midem, Thinking Digital, In The City and TEDx. Check out his TEDx Talk called Credit where Credit is Due on the evolution of the song that became known as Bitter Sweet Symphony. Silver studied for his PhD at Bedford College, University of London and published his thesis on Language Power and Identity in the Drama of Ben Jonson. I am interested in using your clip of the Chernobyl Power Plant in a I-Movie for a high school project. Please send me an e-mail if you have a problem with this. I will assume there is no issue if I do not hear from you. Hello – are you the same Jeremy Silver who wrote an essay on ‘The Preservation and Development of Aural Culture’? If so, please get in touch, I’m very interested in what you wrote. If not, please excuse me, you seem to have had a more exciting career than most academic types! Thanks for your note. Looking back on my remarks, I think I captured the ambivalence of those of us that “get it” who were working at the time inside the constraints of a very singular view of copyright as it relates to the commercial opportunities of the music industry. I think “ambivalence” is the perfect word to describe it, and it certainly was a singular view of copyright that was the ethos leading the music industry then. Even though slow and painful progress has been made in the 7 years since, the ambivalence is best exemplified and brought to stark focus by You Tube and it’s seemingly scant disregard to copyright and yet ironically we also see “do no evil” Google having its fingers in that pie too. Future of Media on IT conversations, again, totally rocked (i’m actually only 15 minutes into it). I haven’t navigated through this site too terribly, but I’ve never seen anything mentioning IT Conversations that you’re a part of. Hopefully a very cool thing coming is a master list of web links to your lectures…? You are right, Matt, I need to put a link in to the I T Conversations thing – it is a great series – I’ve learned loads from listening to the talks. Keeping on watching this space – more updates coming soon. any thoughts on the pirate bay trial? So many others have commented from a simply anti-IP perspective, but as always the truth is stickier and unfortunately in this case somewhat nastier that we might like. I am putting together a music tech startup conference planned for the 25th of February, in London named Music 4.5 – 4.5 times ROI for artists and entrepreneurs. Your name has come up in a number of conversations, both as part of FAC and as an independent industry-player, in particular with Tim Clarke of IEMusic, and Feargal Sharkey of UK Music. Katie Allen at The Guardian gave me your number – hence the voicemail left yesterday. It would be great to discuss with you how you and the FAC could be involved, and to hear your thoughts on the event, the topics and the suggested speakers/panellists. If we can take this over email, I am happy to send you the latest version of the event synopsis, agenda outline, background etc., in order to give a some background to Music 4.5. It would be great if you would have time to talk or meet in the next couple of weeks to discuss this further and have your feedback on the Music 4.5, both on the format and the content. What do you think? Could we get you to be involved? You probably dont remember me, but I ran the promo campaign for the national Discography many years ago. What happened to it? I cant find anything about it anywhere? Great to hear from you. What a fun launch that was – definitely in another era now… National Discography is as far as I know still part of the National Sound Archive catalogue but I don’t think it’s ever quite materialised with the commercial basis that was originally envisaged. Lots of the folk involved in that original project have retired now, but there are still a few around. Godfrey Rust popped up on my radar recently if you remember him. Ah ha. A reply.Thought it might come by email. Shame about that – it not reaching its full commercial potential. Such is life. Thats all for now, folks! Although we never met we were often on the phone during the CDWorld Coprporation Kiosk debacle. I am presently writing a book on this and would love to make contact with you to get a foreword or quote. please drop me an email for a phone contact. my name is Costanza and I am a student of Music and Media Management. I saw your debate at the O2 which I found extremely intersting (poor Peter from The Pirate Bay!) they destroyed him! I write You regrading my dissertation about the relationship between record companies and live music. I want to find out why there is a boom in live music and whether its boom in revenue is sustainable. I would love to ask You a couple of questions on this topic and I woul really appreciate your help, as your point of view could really boost my dissertation. Can I send You the questionnaire (its not long!) I created for You? Maye I will send it to your email? Trying to track you down.i worked for you as a nanny years ago,cant find my work references.not that im a nanny anymore! No direct email for you,its tracy by the way,best bosses you and your. Wife. Pingback: Quick report from Liverpool « Turner, Hopkins. Holed up in Leeds and idly thought. I’d get in contact… Maiden name Morris. Helen Elias says that you are now in the u.s…is this so? Family and self live outside Liverpool, husband having retired from horrors of local government senior directorship. I am a student again – art and design ceramics this time and starting my PhD at Manchester school of art in January. Amazing what you do when you grow you isn’t it? Still in contact/visit Helen and Paul Sutton in the west country. How wonderful to hear from you. How did you track me down?! I guess it’s not that hard any more. I did live in California for a while but now I’m back here in Kilburn, in London. I still see Jaci Stephen from time to time. She flits between Cardiff Paris London and LA and is a single writer. Still drinks but quite the celebrity. I’m working in music still but mostly on technology and with start up companies. All quite fun, let me know if you ever come to London! I am involved in coordinating the programme for Limmud Conference 2015 (www.Limmud.org). We would be delighted if you would be able to attend the conference and speak about social media. Please do get in touch if you are interested. I’d like to connect with you about the new Waves Platform. It’s an open blockchain platform that enables custom token creation with the aim of linking distributed ledger technology with the traditional financial sector.